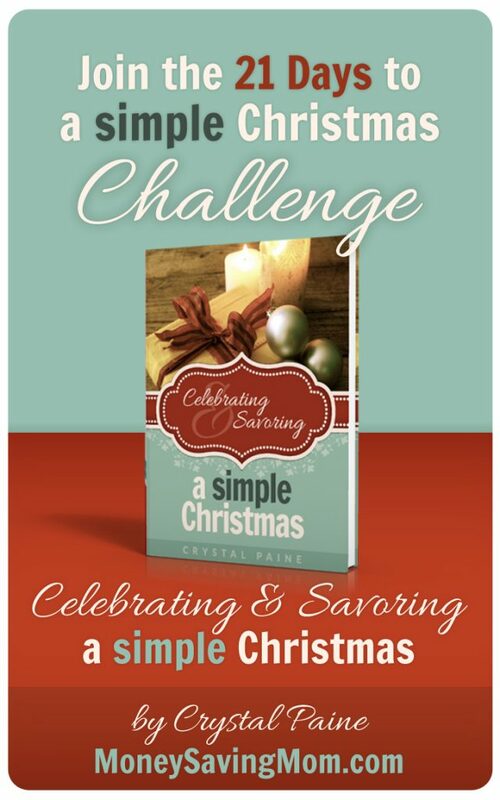 It’s the final day of the 21 Days to a Simple Christmas Challenge! There’s snow outside, almost all of our Christmas preparations are done, and the kids are snuggled up watching White Christmas together. Today, as we pause from the usual daily routine, I’m reflecting on what Christmas truly means. But instead of frustration, I found myself feeling grateful. 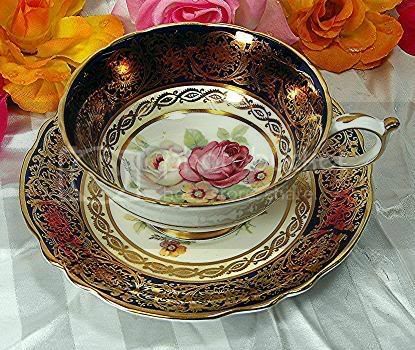 Our lean law school years–when a hot cup of tea in my special tea cup was one of life’s few luxuries–had taught me a profound lesson: things don’t buy happiness. It’s a trite phrase, to be sure, but when you’ve found much happiness in spite of the lack of things and the lack of money to buy things, it seems anything but cliche. 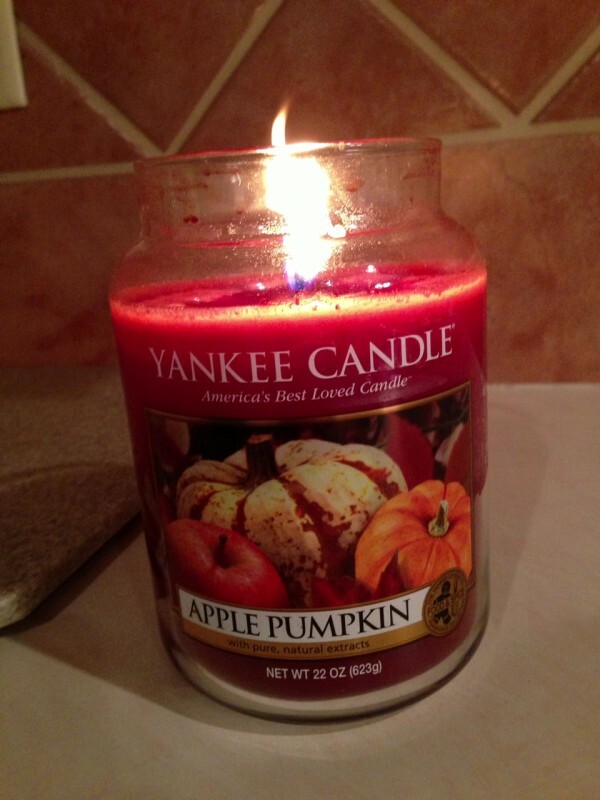 There are likely many reading this right now who are experiencing financial difficulty. Maybe your husband is unemployed and there are no job possibilities on the horizon despite your incessant knocking on doors. Perhaps you have no idea how you are going to pay your rent or your mortgage and you’re beyond tired of eating endless varieties of beans and rice. You’ve likely read here about a lot of deals I’ve scored over the past few years, but today I want to tell you about the best “deal” I’ve ever gotten–one that changed my life forever and gave me lasting happiness and peace. As I swept up those pieces of shattered glass, I realized I wasn’t upset over my favorite tea cup breaking because I have something that pales in comparison to a thousand expensive tea cups–I have Jesus. I promise, this will be the best deal you’ll ever find–worth more than all the money in the world can buy! Today, we’re going to be focusing on doing something special for our spouse (if you’re married). It’s so easy to get so wrapped up in all the busyness of the season that we fail to take to nurture our marriages. And yet, if you’re married there’s not really anyone more important than your spouse, is there? 2. If you’re married, do something special for your spouse today. It could be something as simple as writing a love note or making a treat they love. 3. Come back tonight around 8 p.m. and share what you did to bless your spouse. And I’ll share about what I did, too! 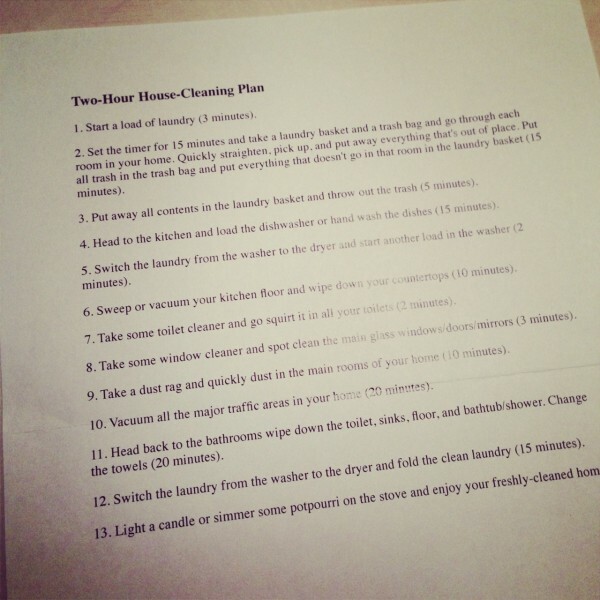 I printed out the cleaning plan to cross off as we finished things. 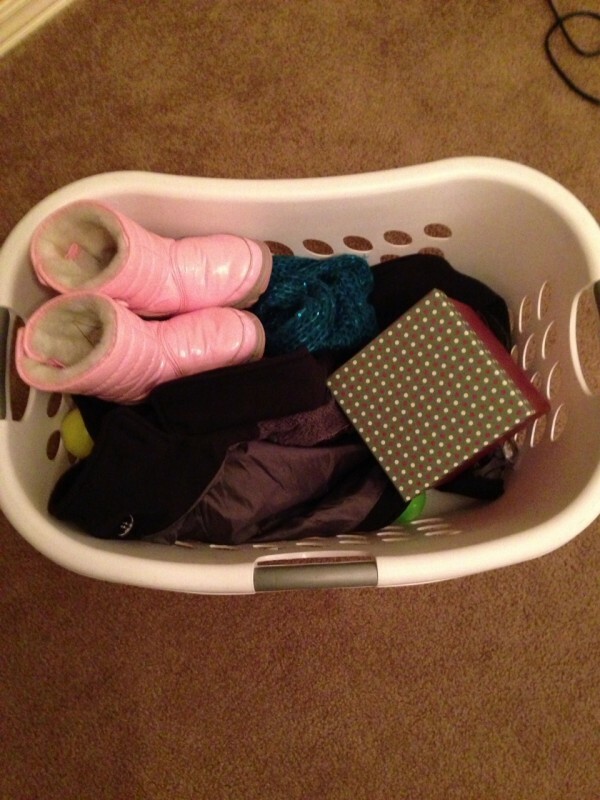 The basket of miscellaneous items from around the house. There were some interesting things we rounded up… some that ended up going straight into the trash and recycling bins. 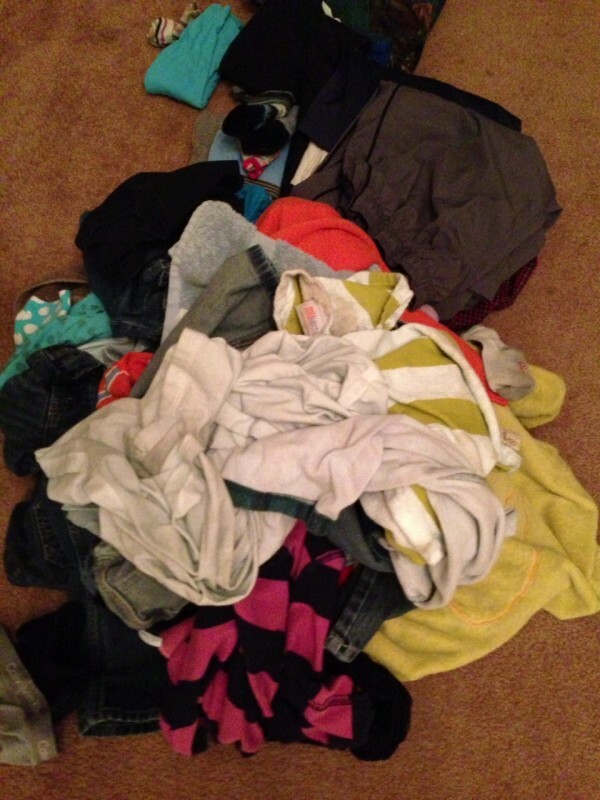 Lastly, we tackled the laundry pile. It wasn’t too enormous and Kathrynne helped me so we got it done in record time. Did you do any Christmas cleaning today? If so, tell us about it in the comments or share the link to your blog post (if you’re blogging about the challenge). 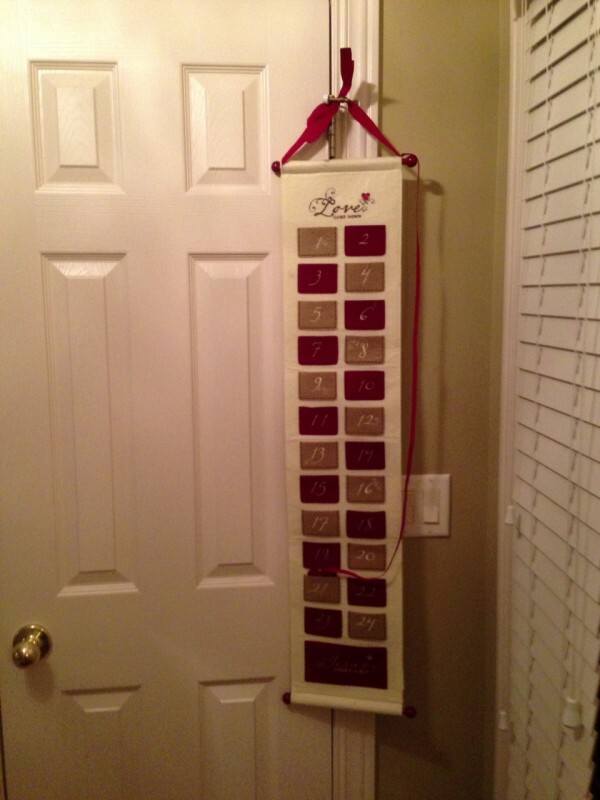 It’s Day 16 of the 21 Days to a Simple Christmas Challenge! 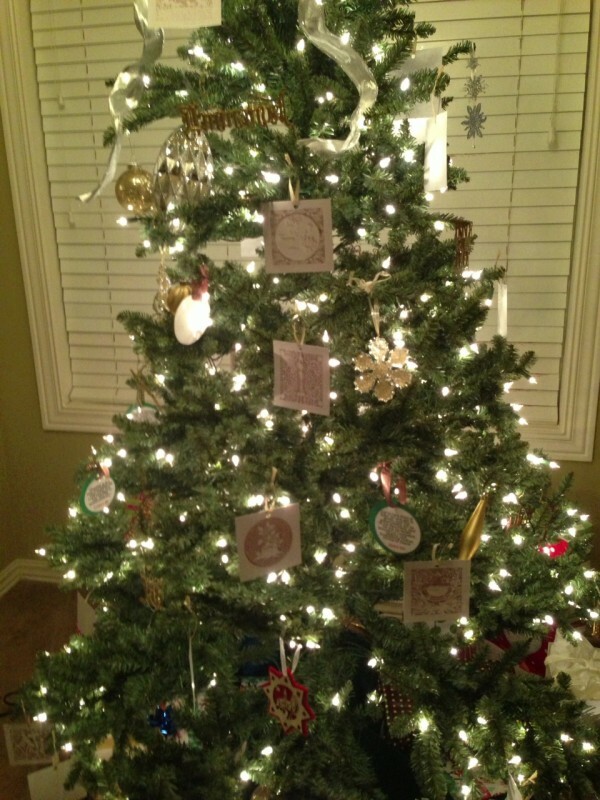 We have our tree decorated with these free printable ornaments and the free printable ornaments from Ann Voskamp’s beautiful devotional, The Greatest Gift. I love how they remind us of what Christmas is all about. 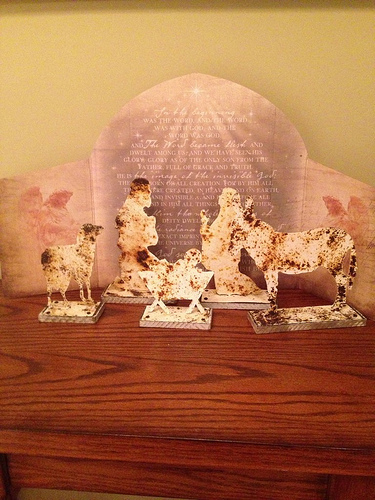 And here’s our manger scene. You can read more about it here. 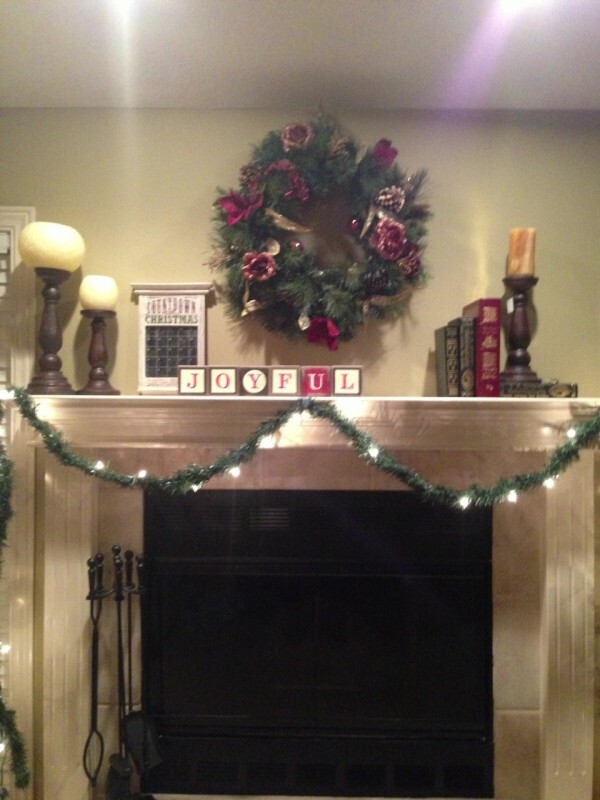 Finally, I just love our Christmas mantel. These DaySpring blocks have provided a lot of hours of enjoyment for our kids. And Jesse and I have joined in the challenge of coming up with new words to spell with them, too! 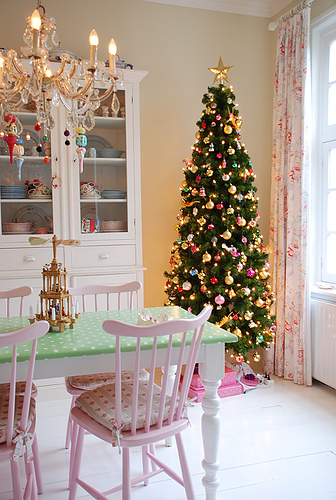 Did you do any Christmas decorating or add Christmas cheer to your home in any simple way? If so, tell us about it in the comments or share the link to your blog post (if you’re blogging about the challenge).